We are at day 9, with only 3 days left till Christmas. That’s insane! I bet we have our gifts bought, maybe even wrapped up, our Christmas get-together’s planned, a nice warm house if you live in the Norther Hem. and a nice air–conditioned house if you live down north. Now imagine this. Your house and everything in it was blown away by a storm. Your belongings and your whole neighborhood burnt to the floor. You don’t know where you will find food, and your children keep asking you why you keep standing on the sides of the street. There is no water, no where to go to the bathroom. You live in a car, or worse in a nearby school were there isn’t even room to breathe. You don’t even have the strength to cry anymore and guess what, Christmas is a blink away. We can sit here in our nice comfy houses this Christmas and think about ourselves. Presents, food, laughter, it’s all so much fun, and it should be. But are we only thinking about ourselves? Do we only care about our holidays, and our family and our good time? There are thousands upon thousands of people, including children will wake up on Christmas day, with not even a fraction of what you and I will wake up with (theguardian.com). I don’t know about you, but that bugs me. 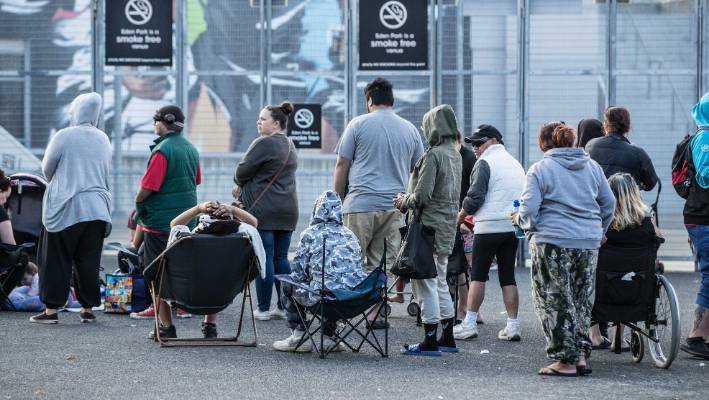 A couple days ago, the charity Auckland City Missions, had to turn about 400 people away from getting a food package, because there just wasn’t enough (radionz.co.nz). It’s heartbreaking to think that those 400 people would have waited there for all that time, only to be told that there was no more for them, when we have above and beyond what we need. How can we even think about giving what we can to those who need it, this season? How can our hearts not be moved by what is happening to people all around the world, who don’t see Christmas as we do. This Christmas please don’t forget to give. Something I learnt from a course in Uni was that this world produces enough food for every single man, woman and child, yet there are millions of people suffering from poverty. I know that it is an issue all year around but Christmas is a time of giving, time of sharing and if everyone of us gave even just a little of what we had, then I’m sure that the world would be a much better place. A very cheesy, overused line, but it’s the truth. If you follow this link you will reach a Christmas Charities page, that will tell you what kind of organizations you can give to. I realise that my readers are not all from New Zealand, so this link has Charities you can give to from all around the world. Please help Santa out this Christmas, and share the love, spread the peace and help a fellow human being out! You don’t have give everything you have but a little can really go a long way. Share this link on your social media’s so more people can hear the message. This post is a plea to remember those who are just like us, yet don’t have everything that we do. Please, GIVE THIS CHRISTMAS. This touches my heart. I wish I.could reblog this. wow I am so glad this touched you!